In the middle of the State of Washington is beautiful Lake Easton and on its shore is Lake Easton Resort. Located within the Cascade Mountain range, Lake Easton offers a wealth of outdoor activities and adventure. The area is considered a hikers dream in the summer and offers excellent catch-release fly-fishing. The resort is open all year with groomed snowmobiling and cross-country skiing trails accessible from the resort. 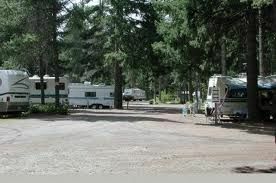 To get the best deal every year, RV resort membership resales are your best option. 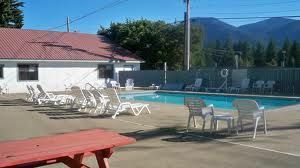 The resort has many recreational facilities, including a swimming pool, playground, game room, horseshoe pitch and more. 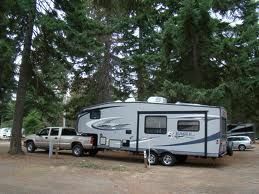 There are restrooms and showers as well as laundry facilities and storage for your RV. The Lake Easton Resort allows pets with restrictions and is partially handicap accessible. You will find pull-though and back-in sites with full hookups, 30 or 50 amp and water or electricity only. Each site has a fire ring and Internet access. Located in Lake Easton State Park, the outdoor activities are endless. There are six miles of bike trails, mountain biking, boating and freshwater fishing and a basketball court. It is considered a great place for birdwatching and there are tours for wildlife viewing. When you find RV resort membership resales you have the opportunity to take advantage of all the benefits included which are many. You get discounts on LP gas and fuel, Camping World coupons and free dump service. If you own an RV and regularly take vacations, RV resort membership resales can guarantee that you stay at the best campsites at discount prices. The Cascade Mountains have beautiful forests and lakes, and the area is well managed for environmentally friendly recreational purposes. For those who want to spend time in the mountains but don’t camp or have an RV, the Lake Easton Resort has cozy, rustic A-frame cabins that have all the comforts of a vacation home, but you need to bring your own bed linens, blankets and towels. The resort is only a 30 – 45-minute drive from Seattle, so it is convenient for a weekend getaway as well as a full family vacation. Contact Lake Easton Resort and Club Specialist Today!